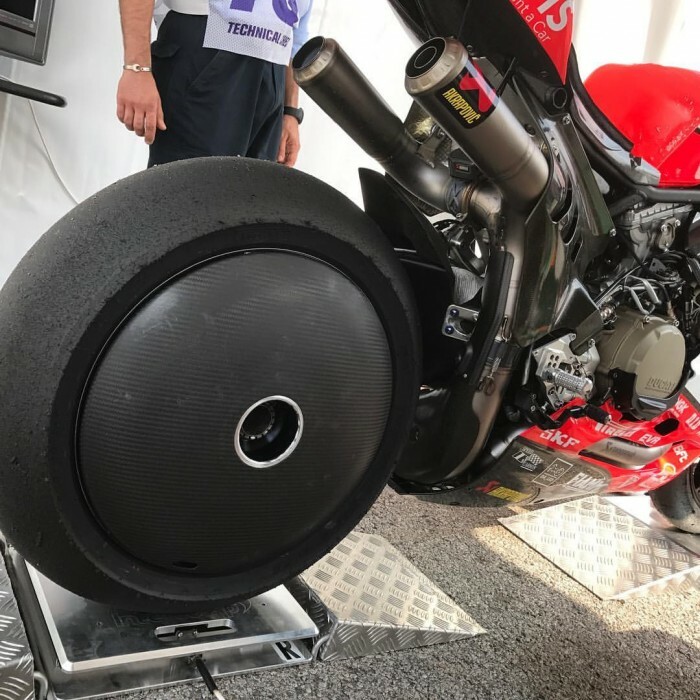 Ducati have experimented with another version of a disc rear wheel that was first seen at Misano - but on Michele Pirro’s MotoGP GP16 - at this weekend’s WorldSBK round. 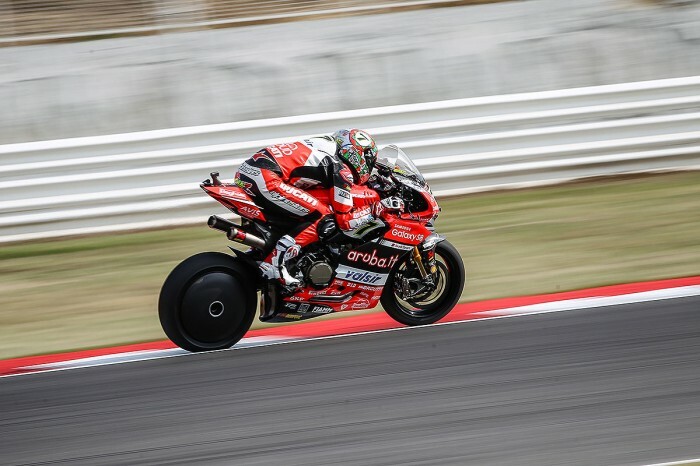 Chaz Davies used the lenticular wheel in this morning’s free practice three but details on its exact function are sketchy. Disc wheels have been used in cycling since the 1980s and are designed to improve airflow around the rear end of the bike and reduce drag. Triathletes have been known to knock between 30s and two minutes off a 40km stage with their use alone.